When Scion drivers come into Cordell’s Automotive in Holmen for auto repair service, they can count on receiving nothing but the very best in workmanship from our highly trained and experienced team of auto mechanics. Whether your Scion needs four new tires or a simple oil change, Cordell’s Automotive is here for you. Cordell’s Automotive has worked hard to earn a solid reputation for being an auto repair facility for the people. We believe in giving back to our community and we strive to make your experience with us the best it can be. When your Scion needs more extensive work, we even offer loaner cars to make the experience as painless as possible. We know you still need to get to work even if your Scion wants to spend some time with us. The auto mechanics at Cordell’s Automotive will always make things right and will go out of their way to provide you with the best customer service possible. We back our work with a 3-year/36,000 mile warranty and will always do our best to help you get to wherever you need to go even if you’re tempted to hang out in our awesome waiting room. 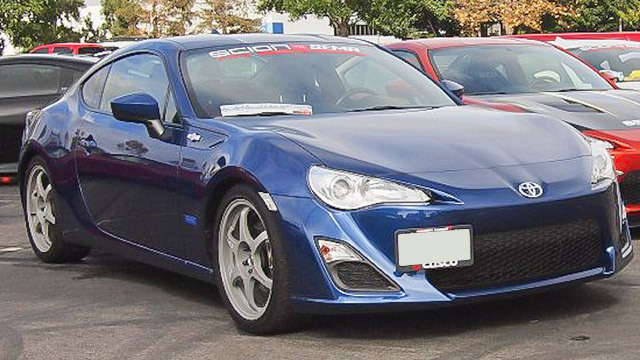 We’d love to work on your Scion. Schedule an appointment today. Cordell’s Automotive is located at 300 South Holmen Drive, Holmen, WI, 54636. Our hours are 7:00 AM - 5:30 PM, Monday - Friday. We also service the communities of La Crosse, Onalaska, and Trempealeau.